Coldrain have announced their first headline tour of the UK and Europe. They’re about to hit the road across the US in support on fourth album Vena, which was released last year via Hopeless Records. The Japanese outfit will begin the run of dates at Backstage By The Mill, Paris, on May 9 and wrap up at Reading’s Sub 89 on the 27th of the month. 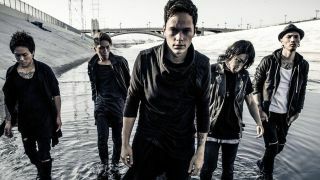 In January, Coldrain released a video for their track entitled Wrong and previously told Metal Hammer they were delighted to see the rise of Japanese bands in the West. Tickets for the UK and European shows are now on sale.